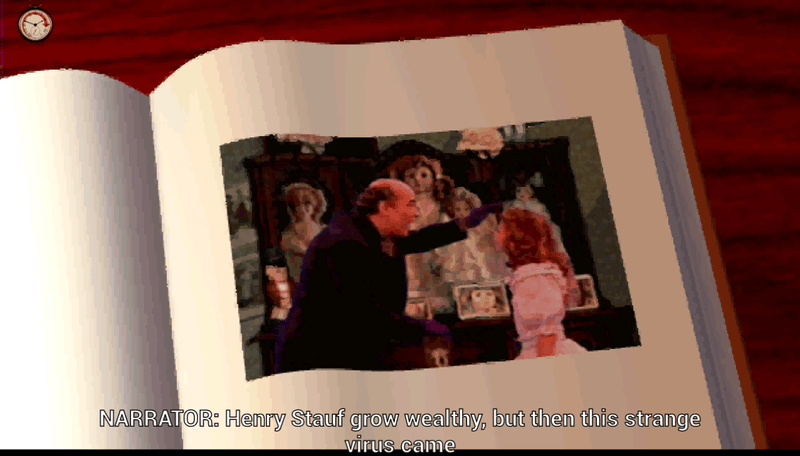 The 7th Guest is a 1993 CD-ROM video game, which featured a nerve tickling horror story, lo-res images of a haunted house and short movie-style clips of characters. It was released on iOS in December 2010, and now its remastered version is finally available for Android. Those of you unfamiliar with the game, it was released by Virgin Games 23 years ago and made quite an appearance due to its live action video clips rendering of characters and adult content. 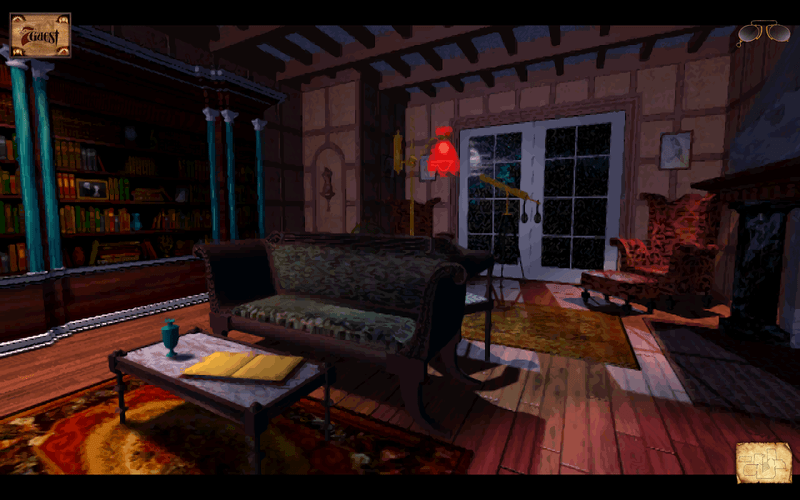 An interactive movie puzzle adventure, the 7th Guest puts you in the shoes of an amnesiac, waking up in a horror mansion and facing the need to survive the night in the mansion and discover the mystery of the 7th guest. If you complete the mission successfully, the host promises to fulfill your heart’s most wanted dream. As far as the gameplay is concerned, you wander around the haunted mansion and solve puzzles, which sometimes get interrupted by cinematic cut scenes that narrate the evolving story while the host, quite an unpleasant presence, keeps nagging, mocking and threatening you. I am not sure if the promise of a mind-bending puzzle is enough to lure the uninitiated to buy the $6 worth of a game, but to me the story sounds like it’s something I want to explore, being one of the newcomers to the playground of the 7th Guest. Here is how it goes. Once upon a time, there was a guy named Henry Stauf. From what I read, he is a sort of a John Kramer the Saw character, only creepier. He led a life of a criminal, murdering people for money, and reached the bottom of the human degradation when an otherworldly evil entity started communicating with him. Stauf, guided and inspired by the evil entity, creates a doll, which he sells in a local pub in exchange for food, drink and a room. Soon, he makes more devil-inspired toys and opens a very successful toy store. At some point, all the children in possession of Stauf’s toys fall ill to an undiagnosed diseases and die. Before going out of business, Stauf builds a mansion, the last thing he made inspired by the evil spirit. He then invites six of his acquaintances for a dinner, where they find themselves involved in a game of sin, seduction, greed and all sorts of temptations. 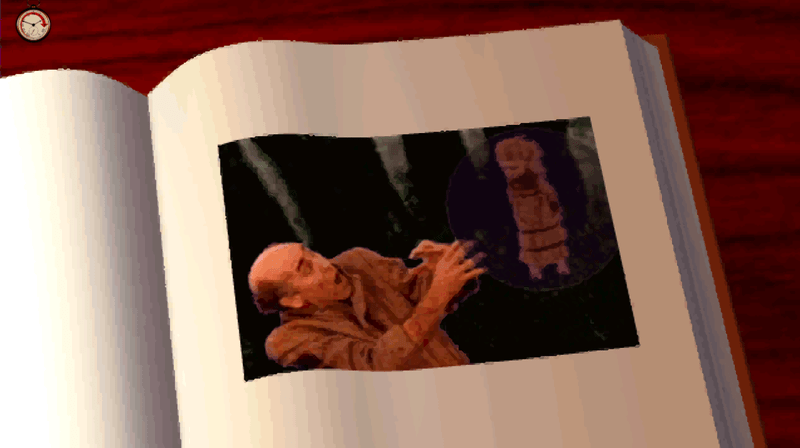 The guests are then challenged with finding the 7th guest and bringing him to Stauf’s attic, where he himself is waiting. In exchange, Stauf promises to make the winner’s most sacred wish come true. As you might have guessed based on your Saw experience, the guests then turn against each other. Husbands on wives, friends on friends, and before you know it, they slaughter one another, or are slaughtered by the mysterious spirits inhabiting the mansion. The guests have come to realize the 7th guest is a boy named Tad, who entered the mansion in a dare game with his friends. Only two out of six, realizing Stauf has dreadful intentions about the boy, find him and try to persuade him to leave the house with them. Eventually, when the guests kill one another, one last woman takes the boy to Stauf, demanding her reward. Her reward is a blood bath, and Stauf captures Tad. That is when you as the player realize you witness some kind of a creepy rewind show as seen from the deceased boy Tad’s perspective – not only has he been murdered by Stauf, but his soul was doomed to relive the nightmare over and over again. Your aim, as the player and the new force, is to break the evil circle and free the boy’s soul. The iOS version is pretty outdated, so the Android players have the access to some exclusive content available only in this remastered version released for the game’s 20th anniversary. For example, the pack contains an impressive deal of extras – ‘The 7th Guest’ novel, 157 pages long and worth the price of the game if bought as a standalone purchase. Then, there is the extended pack of the 19 deleted scenes and 33 deleted audio tracks, the original script, the Stauf’s booklet, the original game manual. Also, available is the possibility to switch to the original retro graphics, with the original icons, music and controls. You can enable the subtitles and enjoy the full voice acting available in 4 languages – English, German, Russian and French. The anniversary edition features even more exclusive content, such as new controls system, new animations and icons, new map accessible right from the gameplay screen, 4 music options with the orchestral soundtrack and the original score in several file formats, new HD graphics with hi-res 3D interactive rooms and 27 achievements. The game also features a hint book, so whenever you get stuck on a puzzle or a challenge, you can address it. If the Android version preserves the original hint book, it will give you 2 clues, and when addressed for the third time over the same puzzle, it will solve it for you, so you can move on with the game. However, if you use this cheat, you will not see the cut scene following each of the 22 rooms. 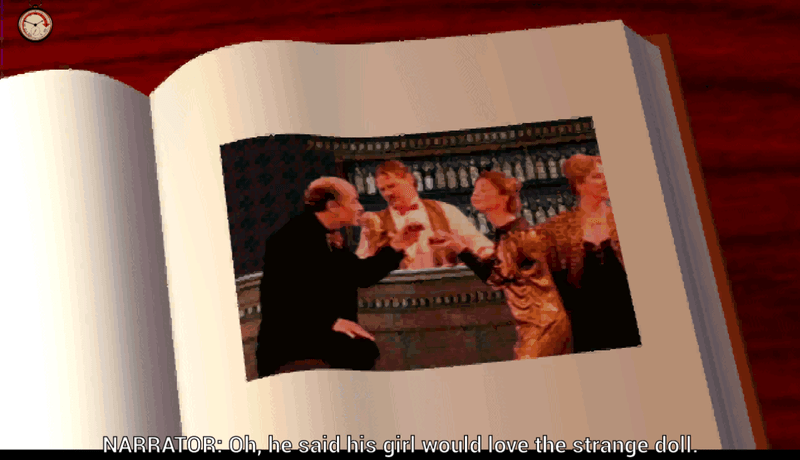 Overall, the 7th Guest is a content-loaded purchase, with the premium game, voice acting, extended soundtrack and cutscenes, the novel and extra content. Hence, the price and the demand for at least 2GB of free storage space. It certainly sounds like a game to explore, for the nostalgia-haunted players and the newcomers, and the only downside I see is the absence of a demo, which would be a welcome extra to let the users see if the game runs smooth on their devices.